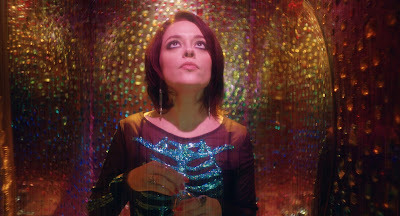 Coming off the festival circuit where it made a splash at fan favorites like FrightFest and Dances With Films, Imitation Girl is now available on VOD, with theatrical screenings in select cities across the U.S. on April 20th through Epic Pictures’ genre label Dread Central Presents. 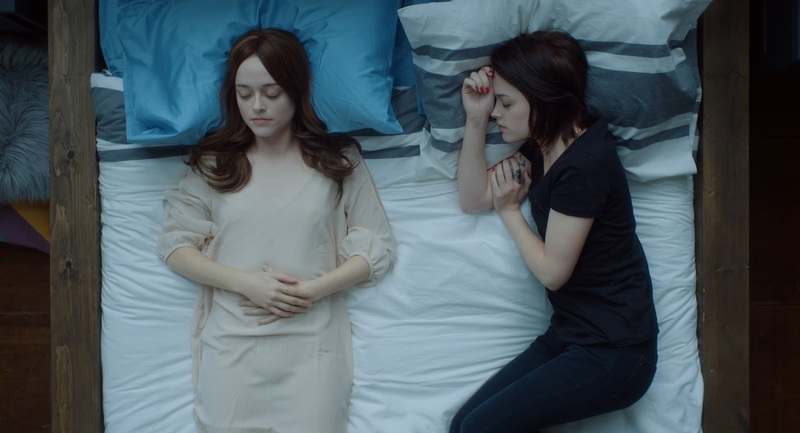 This mesmerizing directorial debut from Iranian-American filmmaker Natasha Kermani stars Lauren Ashley Carter (DARLING, JUG FACE, POD). When an alien takes the form of an adult film star, both must learn to cope with the complexities of being human in this mesmerizing film festival favorite. Lauren Ashley Carter plays the dual role of Julianna and the alien. A co-production between Illium Pictures and Cup of Joe Film, Imitation Girl heralds a unique new voice in Kermani. You can read our review of the film here. We had the opportunity to speak with director Natasha Kermani about the film. TMS: First off, can you provide us with a little bit of background information. Did you always want to be involved in filmmaking? What type of training or schooling did you have? NK: This has pretty much been the path I’ve been on from a very early age. I was an ambitious kid and set my sights on a career in directing very early - I remember writing an essay in the fourth grade about Julie Taymor - and was lucky enough to have a small video camera and basic editing software (early iMovie!!) that I used to make little short films, music videos, etc. I was an avid reader and writer, which continued into my high school years where I attended a wonderfully supportive girls’ school that allowed me to really explore and create further. I ended up at NYU’s Film school, where I was able to focus on the craft of Writing/Directing, and then started working (mostly in commercial and branded content) basically right after graduation. 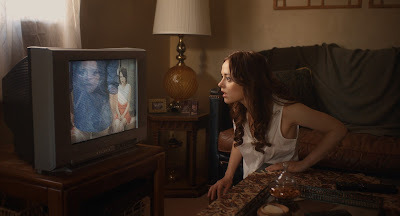 Imitation Girl is my first feature film and is, in many ways, one more step of training! I think this is a career where you are always changing and being challenged - so really every project is an opportunity to learn and better your skills. TMS: Did you have a lot of support when you decided to get into filmmaking? NK: I’m very fortunate to have parents who were supportive from the get-go. I think growing up around creatives was valuable for me as it gave me a more holistic understanding of what it means to have a career in the arts. In addition to support from my family, I was also lucky enough to have some truly incredible teachers from an early age who went the extra mile to help with my film education, from grade school photography and writing classes to Directing the Actor courses at NYU. TMS: The reviews of your film have been terrific. Where can people see it? How would you describe your film to filmgoers? And what do you want them to know about the movie? NK: We are now available for viewing on VOD! You can check us out on the platform of your choice, and you can follow us @illiumpictures or our amazing distributor @dreadcentralpresents for updates on a mid-April series of screenings all around the USA, which I’m very excited about! It has been such a joy to read reviews and tweets and also just to speak with people after screenings - it’s fascinating to hear how viewers interpret and respond to the film. I’d just say, go in with an open mind and heart! I grew up loving contemplative science fiction, so anyone who falls into that category should give the film a watch! And, of course, fans of Lauren Ashley Carter are in for a treat - she is the heart and soul of this film and pulling double duty the whole way through, making it look effortless from start to finish. TMS: What was the inspiration behind this story? NK: I was intrigued by the idea of using this ‘alien’ to explore some big themes - the theme of the double actually really came into focus after I had worked with Lauren on a few projects. I knew that she would be up to the challenge of a dual-role, and loved that we could use a ‘real girl’ as the foil to our ‘newborn’ alien. As the story materialized, I realized that the core of the film was showing two sides of the same coin, or two different sides of the same person. It is really an exploration of the duality that exists within us all, and within our society, expressed by the two characters that Lauren portrays in the film. NK: The initial draft actually came together pretty quickly, it’s loosely based on a short film I had written so I was mostly expanding it out. I think it was probably about a month from the outline to the initial draft that I sent to Forrest, one of the producers. NK: Scripts change so much - I think we were on draft seven or eight by the time we started shooting, and of course, shoot scripts are always very different from the drafts! There were entire characters and sequences that were cut or changed, especially once we had cast and I wanted to tweak some of the characters to fit the actors (usually its the other way around)! The process with the smaller details of this script was very atypical (for instance, changing character dialogue to fit a specific actor or a specific location), but the overall structure stayed pretty much the same from the first initial draft to the end film. Is there anything you found more challenging when penning the screenplay? Usually my scripts are much more loaded - more dialogue, more sequences that involve action or complicated setups - so with this film we were really trying to keep scale and budget in mind. I knew that we would have very limited resources, so I was really letting the scenes revolve around the emotional core and let the actors live within spaces and moments. TMS: Can you talk about some of the initial casting thoughts. Given her nuanced, complex and multi-faceted performance, you'd think that Imitation Girl was written for Lauren Ashley Carter. Did you write with her in mind in playing the lead? NK: The lead role(s) were written for Lauren, and she was there every step of the way. Lauren is herself a really clever and sharp writer, so it was really fun for us to work on the characters and pin down how we wanted to portray the two leads. Most of the cast was pulled from our network of actor friends, including Neimah Djourabchi and Sanam Erfani, whom I had known for several years, as well as Catherine Mary Stewart, who knew Lauren from an earlier film! We worked with NY based casting directors Karlee Fomalont and Erica Hart to find our amazing supporting cast in New York, including the awesome Marsha Stephanie Blake and Adam David Thompson who came in and rocked out their scenes in a matter of a few short days. I was a very lucky, very happy director to work with this cast! TMS: Did you adjust any of the script after the actors were there? NK: Yes, we did some dialogue adjustment over rehearsals, and there were a few scenes that I chose to tweak to fit the actors we had cast slightly. I like to say that the screenplay is really a jump-off point, and that once the actors are involved the screenplay has a tendency to evolve into something more distinct, real, and immediate. TMS: In terms of directing choices, anyone that you try to emulate? Or ones that have influenced you? How did you their filmmaking influence your making of Imitation Girl? NK: I don’t know if I was choosing to emulate any particular director, but we do have a (pretty obvious) homage to 2001: A Space Odyssey at the top of the film. I definitely pull rehearsal and prep techniques from some of the great directors of the past, and of course it’s ridiculous to say that we aren’t influenced by the filmmakers that come before us. Stylistically, we looked at a lot of Wong Kar Wai films, and I think tonally, especially for the desert sequences, I went back often to the work of Andrei Tarkovsky. However, I have to say that mostly we were informed by the physical spaces we were in and the cast we were looking at. The creative decisions flowed naturally from there, and we tried to really meld into the real locations and make choices that expressed the story in a lyrical and interesting way. NK: We shot very quickly, I think it was about 18 days in total, including a day that consisted of myself, two producers, and the DP venturing out into a post-blizzard Brooklyn with the camera! There was about a six month period in between the first section in New Mexico and the second section in New York City, so we had a fair amount of down time in between, mostly as we were waiting for winter to arrive in New York. TMS: I loved the juxtaposition of your locations, the American southwest and New York city. Why and how did you choose your locations? NK: Our team was based entirely out of NYC at that point, which is why we chose to set it in our neighborhood (Brooklyn), in locations that we already knew intimately. New Mexico came about in early conversations with Forrest McClain - Albuquerque is very production-friendly, especially in 2015 when we began shooting, and it turned out that both Forrest and I had family in the area. With an independent feature, you take all the help you can get! So we went on a scout with Travis, our DP, and stayed with my cousin and her husband (thanks, Bruna and Tom!) and took a good look around the area. We found that it had everything we wanted, including a gorgeous desert that really contrasted with the look and feel of New York City. We were also welcomed with open arms by the Film Commission, which really helped as we crewed up and got all the logistics put in place to shoot. NK: Yes, there are so many restrictions when you’re making a small indie. The classic saying is true - there’s never enough time or money. I think we really were conscious of those limitations, though, and we tried to make the process as productive as possible with the resources we had available. The film was blessed with a really talented and super cool cast who were all on board to work towards a common goal. We had a rockstar crew in both New Mexico and in New York and we actually managed to keep to reasonable hours and not burn out. Poor Lauren had a terrible flu for the second half of the shoot in New York, and she soldiered through it like the pro she is - she laughs now that it helped inform the character. With films like this, the cast and crew really rally around the lead actor, and we were really lucky to have Lauren with her wit and humor and hard working attitude with us every day (in almost every scene, as well). TMS: Is there anything you learned from working on Imitation Girl? NK: I learned more than I could ever express, both about filmmaking and about myself as a filmmaker - but I’ll say that what made Imitation Girl possible was actually that we didn’t know so much. We were diving head first into an ambitious project without knowing what is and isn’t ‘possible.’ What we did know is that we had a top notch team of intelligent and talented cast and crew, and the determination to make this movie materialize. There’s a naiveté and passion to how we made this movie that I hope we don’t ‘learn away’ as we move forward with bigger projects. In the end, what really matters is whether or not you have something to say - that always has to be at the center of whatever scale you’re at. NK: I love this question! Well, lately friends have been messaging me about an Imitation Girl/Annihilation double feature, which is very funny to me and would be a blast. 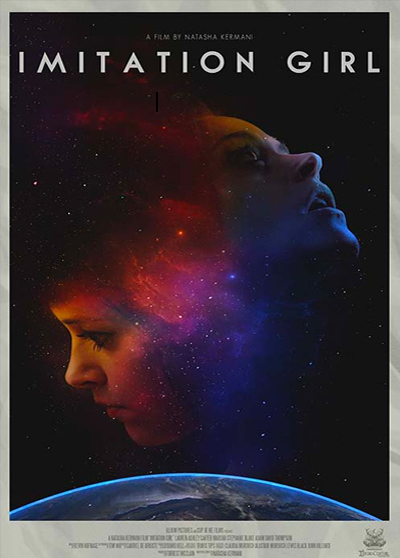 Personally, I really love the idea of Imitation Girl as the appetizer to Tarkovsky’s masterpiece Solaris, though that would certainly be an intense evening at the Drive-In! TMS: If you had a choice to remake a genre movie, what movie would you like to remake? NK: This is a tough question!! I’m incredibly passionate about the story of Frank Herbert's Dune, but it looks like that pesky Denis Villeneuve has beat me to the punch. Many of my most favorite genre movies, especially science fiction, are ones that I would never want to remake because I consider them masterpieces, but I will say that I’ve always wanted to try my hand at a live action Cowboy Bebop movie (I know, I know…). I’ve always loved the blend of space opera meets cyber punk noir meets jazz musical, and I think a live action version would be a really fun challenge. NK: Right now I’m in the midst of prepping for my next feature project, which is a medieval psychological horror film that follows a young peasant woman caught between her mother in law and her lover… We’ll be shooting in the Cornwall region of the UK, which has some of the most striking and gorgeous vistas I’ve ever seen. We’ve got an incredible team that we’re assembling, and I am really looking forward to sharing more updates soon.